Clinical Mastery provides essential information and skills training to empower new nurses and nursing students with the confidence they need as they gain experience on the floor. Master clinical competence and career success with quick, easy access to everything you need to know! Brought to you by the makers of top-selling NCLEX Mastery, Clinical Mastery delivers the most valuable nursing information right when you need it. 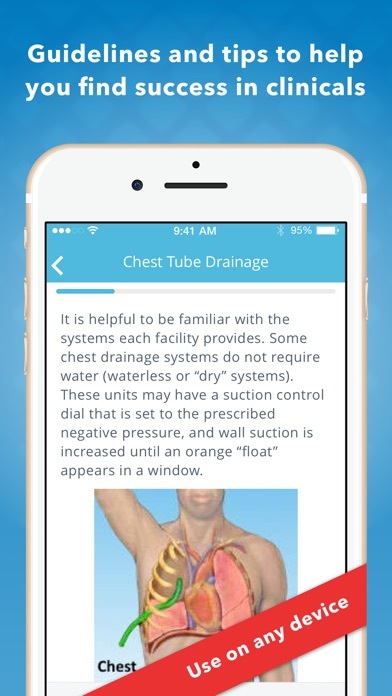 Always be prepared with Clinical Mastery’s searchable reference materials and how-to guides in your pocket! Install the free version today and jump start your studying! We have provided a limited free version of the app that you can try before deciding to upgrade. This version includes a limited amount of lab values and reference charts. 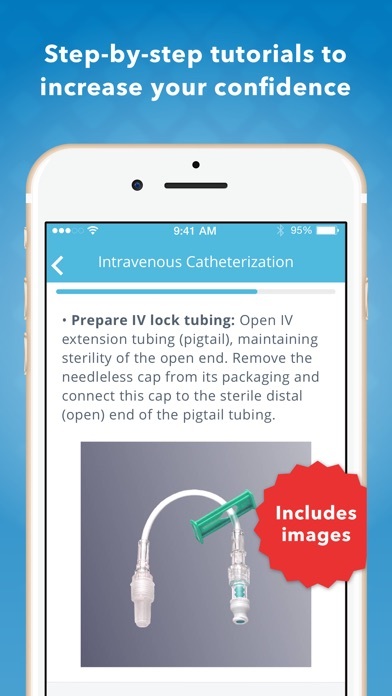 Upgrade to the Standard Version with a one time, in-app purchase that includes access to additional lab values, nursing-specific skills, must-know assessment and guidelines, and useful reference charts. Get your best value by upgrading to the Premium Version with a one-time, in-app purchase. This includes lifetime access to: • Dozens of detailed, nursing-specific skill reviews • Useful reference charts and algorithms • Interpretations of abnormal lab results • In-depth descriptions of diagnostic procedures • A complete library of searchable reference material • CDC and Joint Commission patient safety recommendations • Full-color images to help you diagnose Never be lost on the floor. Have Nursing Clinical Mastery as your clinical guide. Clinical Mastery’s best-practice guidelines and up to date reference information comes from clinical databases, peer-reviewed journals, and other resources, including, but not limited to: • Evidence Updates from BMJ • Agency for Healthcare Research and Quality • Centers for Disease Control and Prevention • World Health Organization • The clinical experience of our writers and peer reviewers Questions? Comments? Email us nursing@hltcorp.com or call 319-237-7162. Maybe some images instruction too? Would love to see images along with the written description too! I'm having a hard time opening the sections I'd like to look at such as labs and skills and even the FAQ's. I have the full app which I paid for so I'd appreciate it if it'd actually work because I loved it. Please fix!!!!!! Save your money fellow nurses and students! Definitely not with the price for something you can google and just take snapshots. I personally can do w/o this app. There's too much to read. I'm fine with the NCLEX Mastery App and other tools. But I appreciate the company showing interest in Nursing Students getting the education needed. 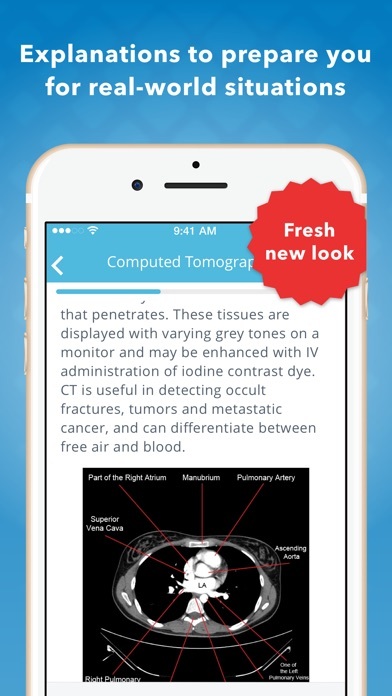 This app has a good amount of info in the lab section but is very lacking in the assessments, procedures, and nursing skills sections. I am a home health RN and Prehospital RN with a background in critical care. I think the full version, while very good, could use some more procedure description for tests more commonly performed in home care. I am thinking of diabetic monofilament foot testing, and POC PT/INR testing. Their NCLEX app is priceless and high quality. Was expecting same with this app but it doesn't meet the same standard. A SINGLE change could make this app perfect in all senses and the "go to" clinical app...MORE PICTURES PLEASE! Has potential to be a massive hit in nursing and nursing school with just this single change. More pictures even if it means more brief text. I can read a procedure text all day long but with pictures it becomes easier to perform AND recall. Developer please make this the blockbuster it could be.